Apple is currently on schedule to launch a revised fifth-generation iPad in September, a new rumor claims, while features of the second-generation iPad mini, such as a potential Retina display, may still be in flux. The details were relayed by the usual supply chain sources to DigiTimes, a Taiwanese tech industry publication frequently skewered for its track record. On Monday, the publication said that a new 9.7-inch iPad is planned to debut in September with a slimmer bezel, as has been rumored. In addition, the report said the number of LED tubes to backlight the Retina display has been reduced from two to one, and battery life of the device has also been improved. Pilot production of the device is allegedly already able to satisfy demand for the initial launch. As such, suppliers reportedly indicated they expect Apple to give shipment estimates as soon as the end of this month. While the full-size iPad is rumored to see a refresh in September, the iPad mini may have to wait a little longer for its second-generation model to launch. Sources told DigiTimes that Apple is "still considering whether to adopt a Retina display for the device." If Apple does opt for a high-resolution display in its 7.9-inch tablet, the release of the product could be delayed until the fourth quarter of calendar 2013, the report said. It also added that Apple is pushing component suppliers to further shrink the iPad mini bezel, and that the company is pushing for a largely bezel-less design. 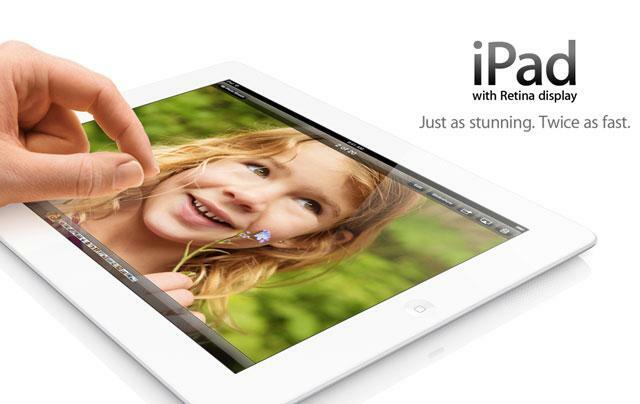 Apple launched both the first iPad mini and the fourth-generation iPad at the same event last October. The updated full-size iPad was a moderate surprise, as the third-generation model with Retina display had debuted only six months prior. The fifth-generation iPad is expected to adopt a design similar to that of the iPad mini, including more rounded edges and a thinner bezel. Leaked schematics have suggested the new iPad will also be thinner than its predecessor, while well-connected analyst Ming-Chi Kuo of KGI Securities has said the device will be 25 percent lighter.